Halloween is the definitely the time for sugary sweet snacks but I have something else for kids. 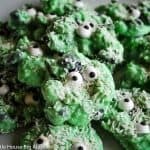 These Green Monster Chocolate Fruit Clusters are very simply made yet taste amazing and they’re perfect for Halloween. They use my FAVE fake candy eyes, white chocolate, any combo of dried fruit you like and desiccated coconut. I made these and they were gone in minutes once I put them out and they’re already asking for more. MOHR. Don’t forget it’s CHOCTOBERFEST–we’ve got a VERY chocolatey giveaway going on and ALL THE BEST CHOCOLATE RECIPES you could ever want from all your FAVE bloggers. Those are the very bottom so keep scrolling! 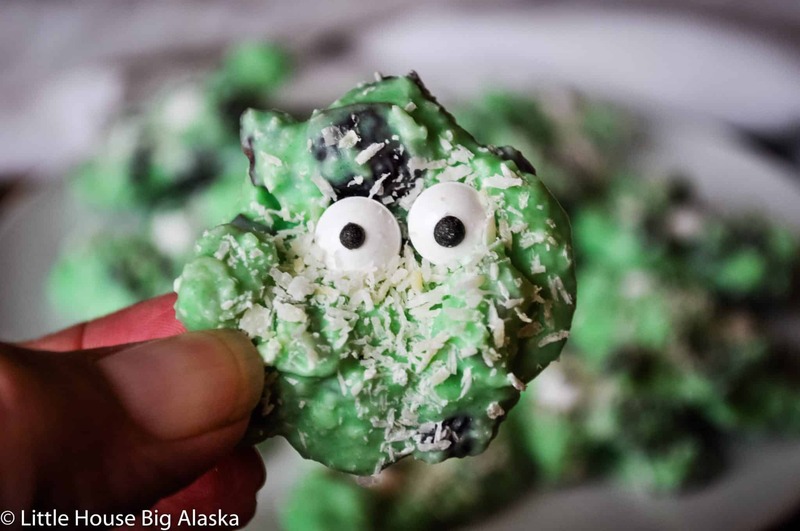 These little Green Monster Chocolate Fruit Clusters are a bit healthier because you can use any fruit you have on hand. No added sugar needed. I used a variety of dried fruits like tart cherries, pineapple, raisins, cranberries. But get wild, try chopped apples or mangoes or even dried blueberries. And you can absolutely add nuts to them. Or JUST use nuts. Make them yours, they’re flexible. It’s all about those eyes, buy them when you see them. You can get them at the store OR use my affiliate link to buy them on Amazon. Buy them so you can make any snack a creepy treat. I promise once you get them you’ll be looking for food to put them on. 3/4 cup dried fruit use what you have or like to eat! 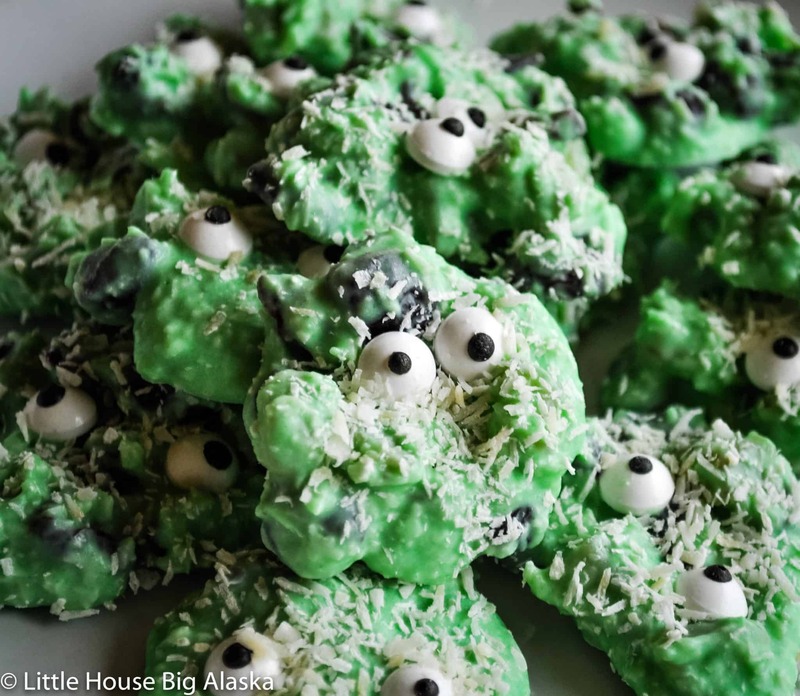 I’ve got more of tasty Halloween Party Food ideas, check them out! It’s Choctoberfest check out ALL the tasty Chocolate Recipes! These are so cute. I love how you added fruit.